Hello! Cranky Fibro Girl here. Welcome to my little piece of the Internet. If you’ve found your way here then I imagine you’re either living with chronic illness yourself, or you know or care for someone who does. So first of all, I’d like to say that I’m sorry you have to be here. I’m sorry that any of us have to be here. The suffering that comes with chronic illness is a pain that no one should have to bear. If you’re a fibro patient like me, then sickness is probably nothing new to you. Like many of us, I spent my childhood and early adulthood battling lots of illnesses; some were easily identified and treatable, but many remained a mystery. Then in 2007, just after I turned thirty-five, I contracted C DIFF, or as I like to call it, The Takeover of the Hostile Alien Intestinal Bacteria. After many months and many rounds of treatment I finally recovered from the infection, but when it was gone I discovered that it had left fibromyalgia in its wake. Devastated, I turned to my favorite method of coping with life: words, and stories. I’d been writing a blog for four years before I got sick, a small cyber living room where I could spin funny stories about my everyday life. I’ve always been the Entertainer and the Keeper of the Stories for my family and friends, the one called upon to put our experiences into words and spin them into compelling stories about our lives. Then one day about six months after my diagnosis I sat down to work on my blog, and into my mind dropped Cranky Fibro Girl. I believe that Cranky Fibro Girl showed up to remind me of the most powerful tool I have to deal with my illness: my voice. It’s composed of the ability to find the humor in any situation, a slightly offbeat view of the world, and a healthy dose of sarcasm, topped off with just the right amount of edge. Or in other words, snark. As I’ve progressed through various stages in my relationship to fibro, snark has meant different things at different times. When I first got sick, all I could see for a very long time was my own suffering. I hurt, and I wanted everyone else to hurt too. The only way I could cope with the emotions of grief, loss, anger, and betrayal was to rage against the world. If you find yourself in a similar place, you might find a bit of comfort in reading the Cranky Fibro Girl Manifesto. After the first year or so, the anger channeled itself into what I would call Manic Positive Thinking. I was going to beat this thing, by God, so watch out world. I spun out into a whirling dervish of forced peppiness and powering through, joking boisterously in the face of this overwhelming Thing called fibromyalgia. It didn’t last, of course, but it was this place that gave birth to my ongoing list of jokes describing all the ways You Know You Have Fibro If…. But eventually, the anger and the mania ran out; they were just too exhausting to sustain. Plus, I had done everything in my power to try and bend this illness to my will, but nothing worked. I finally realized that resisting what was and being furious about it was not making one single bit of difference in anything related to my illness. 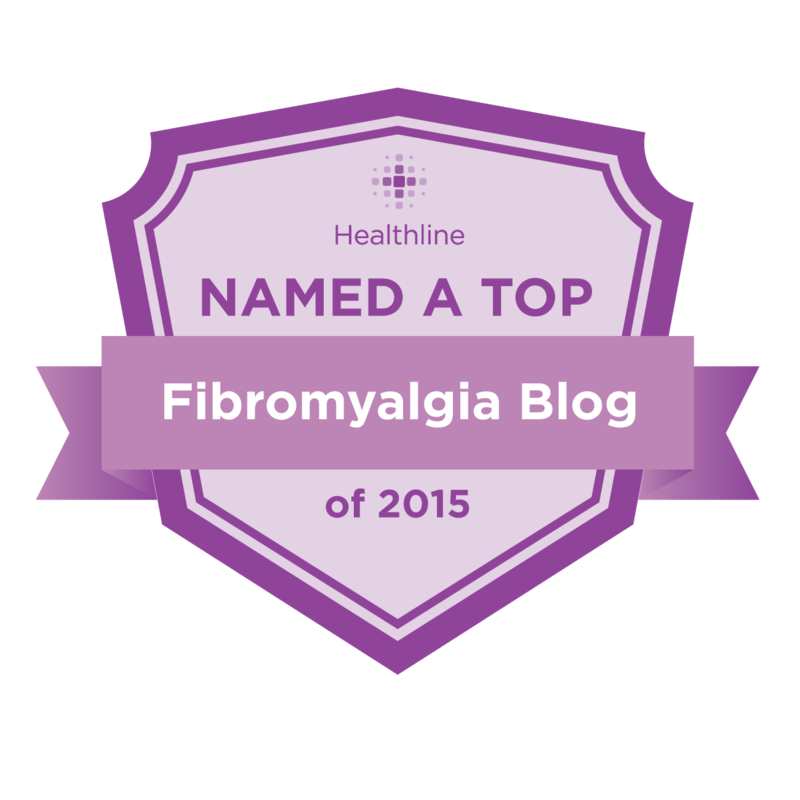 I finally got that fibromyalgia isn’t personal-it just is. So I could be angry if I wanted to, but I only had a limited amount of time and energy, and I was starting to wonder if there were other ways I wanted to spend them. At this point things started to shift inward, to the relationship between me and me. I finally had to acknowledge that I would not be able to bend fibromyalgia to my will, so given that, how did I want to live? And I realized that what was next for me was learning every day how to co-exist with and co-create my life with chronic illness. The ragged, jagged, charged edge of my snark smoothed out a bit, but the snappy, quick-to-respond, dry amusement with life remained the same. This year will mark the 10th anniversary of my original illness, impossible as that is for me to believe. In looking back over this past decade of being sick-at what is most likely my first decade of being sick-I’m reflecting on the arc of my story so far and beginning to craft the next phase of my relationship with fibromyalgia. The one thing I know for certain is that living with chronic illness is most definitely a marathon, not a sprint, and at least for the foreseeable future I am smack-dab in the middle with no finish line in sight. And, like every other stage of this unfolding story, it is a very both/and place. As in, I’ve got loads of tools, skills, resources, and support, and years of experience at navigating this territory. AND having to use those same tools, skills, resources, support, and experience day after day after day can be so incredibly tedious. Or the fact that last summer after 22 years of living in Georgia my husband and I pulled up stakes and moved back to North Carolina, and not only did I survive, I was also able to perform truly astounding amounts of physical labor plus drive all the way there, all by myself. AND the fact that when we got there I still had my same body, with its same illness, same limitations, and same needs. I’m excited to see what’s next for me and for this blog. But it’s an excitement tinged with sadness, because I will be experiencing it through my beautiful-but-very-battered body. 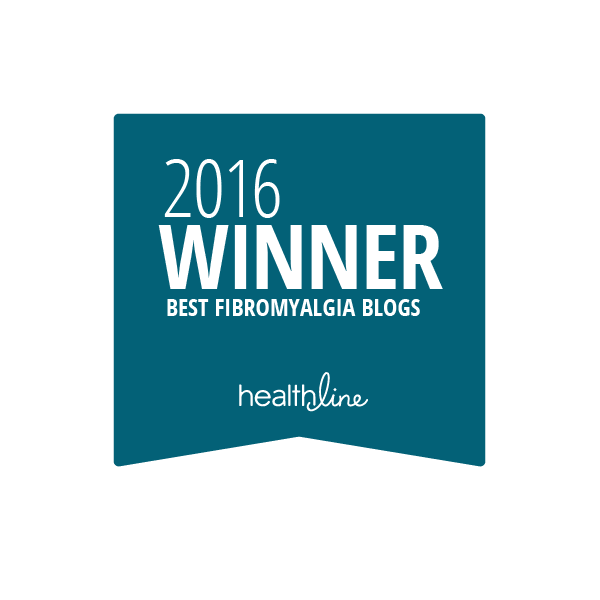 This website is a collection of the ways I’ve found to use my voice as I live my life with fibromyalgia. But although my words and my experiences are filtered through the specific lens of chronic illness, my life is just like everyone else’s; sometimes I have a good day, sometimes I have an awful day, and sometimes I just have a day. My offering and contribution to the world has always been my stories, and here I offer them to you. If you’d like to catch some glimpses of my life that aren’t captured here on this blog, you can follow me on the social media site of your choice. Just click on any of the brown buttons up in the right hand sidebar. If you’d like to be the first to know about the latest happenings here in Cranky Fibro Girl land as well as any other fun things I might dream up, then you can sign up for my email list. Either fill in the form at the top of the page, or sign up here. If you’d like to follow my blog you can click on the brown RSS feed button at the top, which gives you the option to receive blog posts in My Yahoo! or feedly. Or you can sign up for the email list and check the option to receive blog posts by email. There are also twelve years of blog archives which you can read by choosing a month in the drop-down box in the right hand sidebar. Or you can check out the My Story page where I am slowly pulling out a collection of posts that give a quick overview of the past few years. I’m honored that you’ve taken the time to stop by and visit me, and I hope that you find something here to help support you in your journey. Please feel free to contact me here. I look forward to hearing from you. Blessings on your journey. You are never alone.